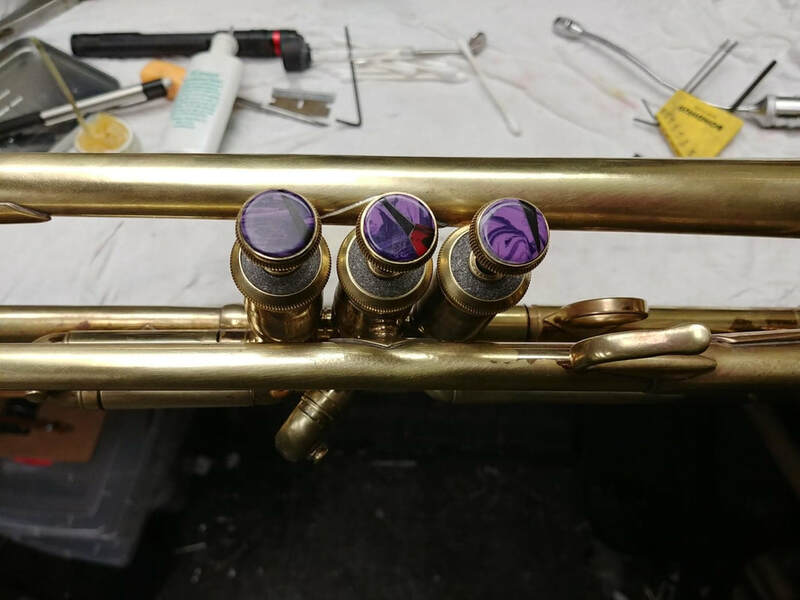 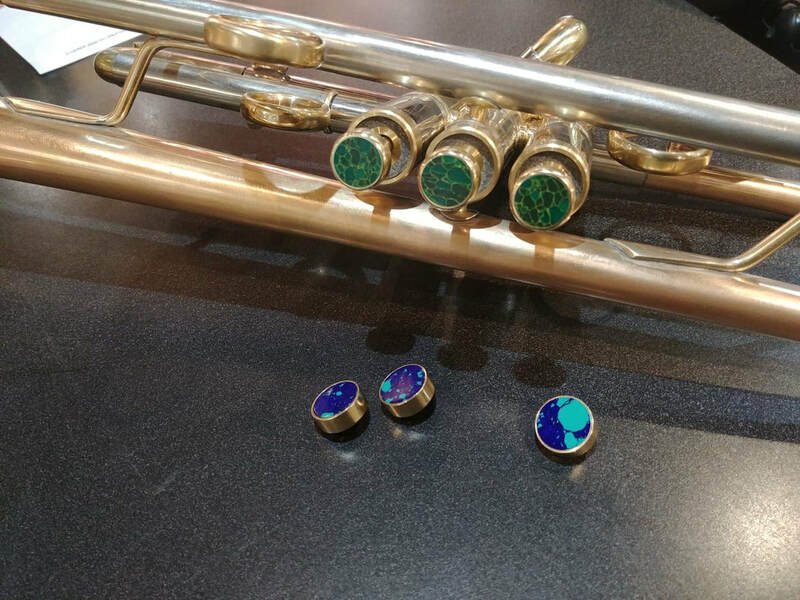 Every Divitt Trumpet comes with your choice of finger button shape, and inlay. 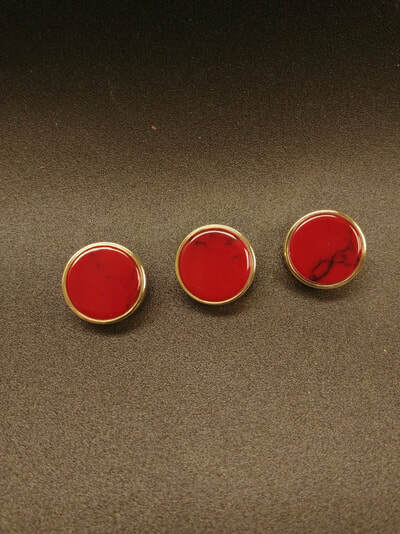 Whether you prefer small, lightweight buttons, or large buttons, we can make them. 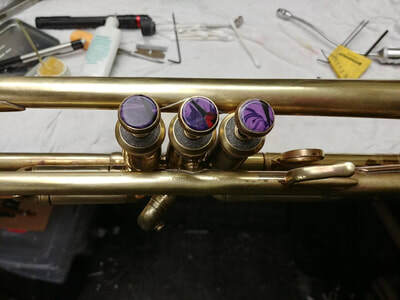 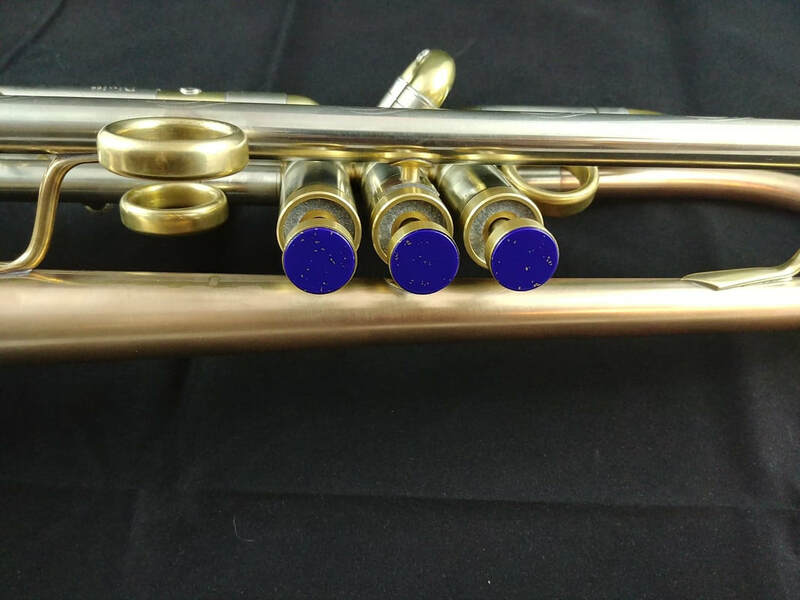 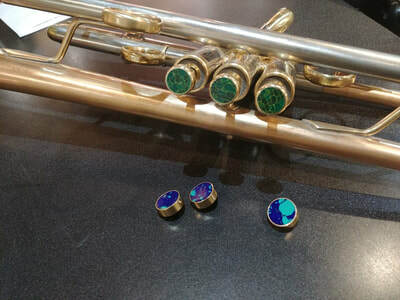 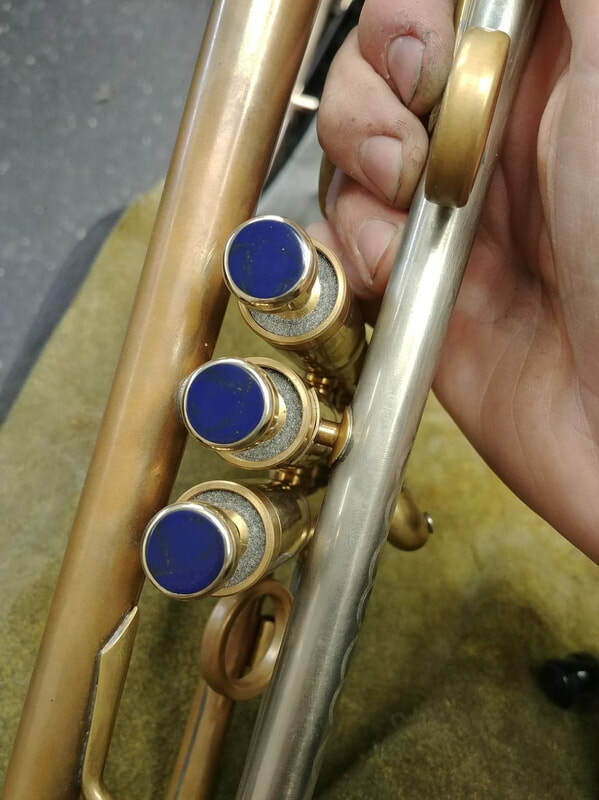 Some customers ask for a light set and a heavy set, as the playing characteristics of the trumpet can change slightly with the weight of the buttons. 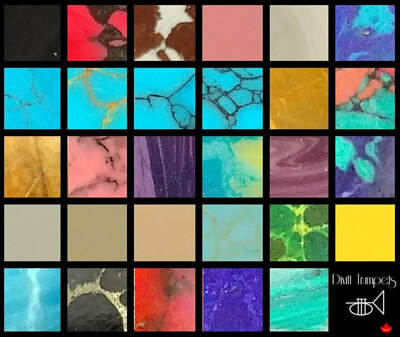 We have many materials, including Reconstone, Polyester, Acrylic, Wood and Metal. 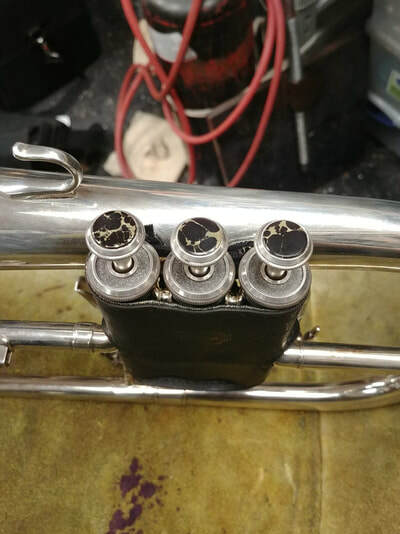 If you own another brand of trumpet, we can also make a set for your instrument. 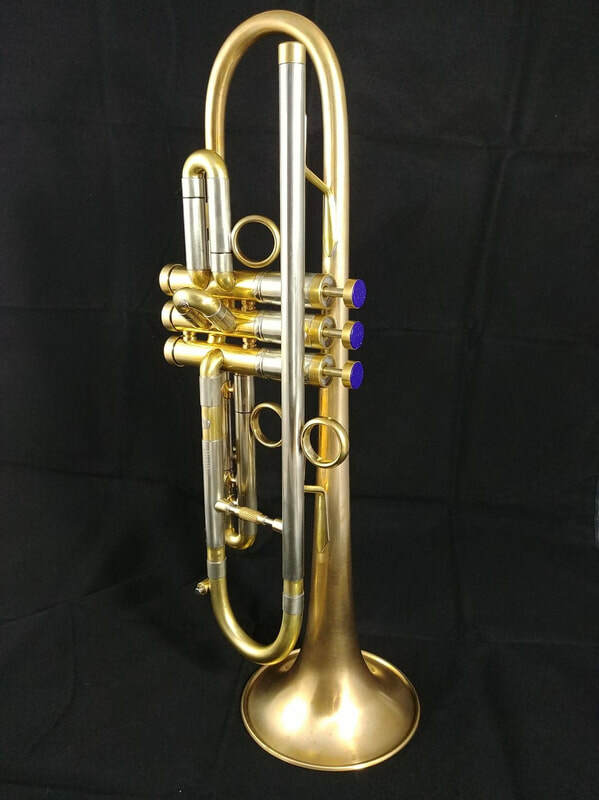 We offer 3 different options for non-Divitt trumpets. 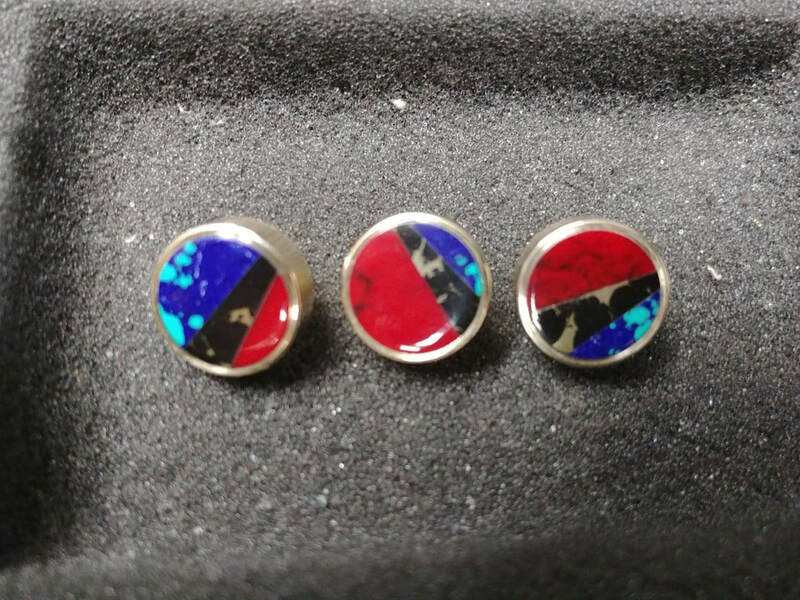 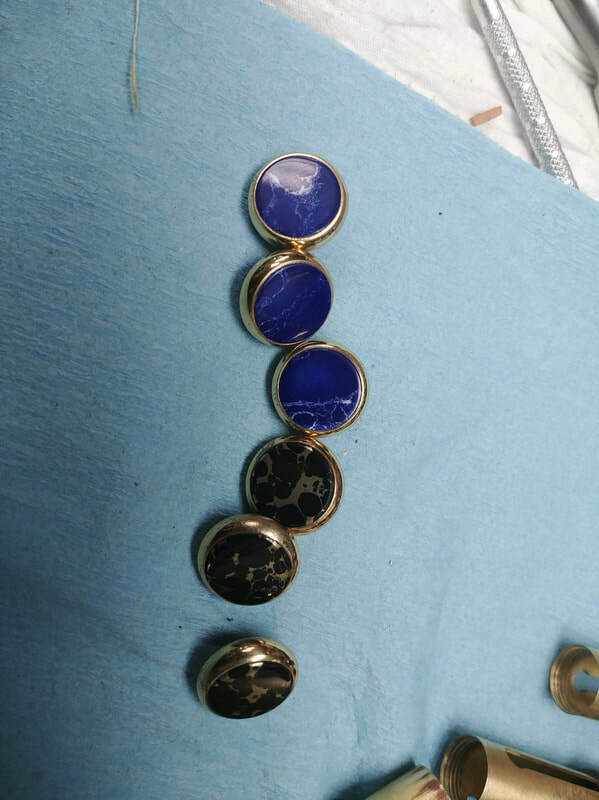 $75 - You send us your current set of buttons and we remove the original inlays and install new ones. 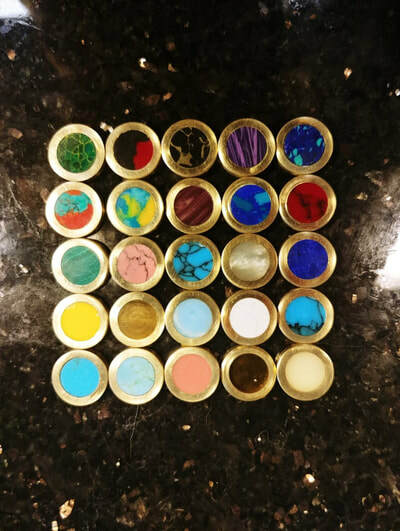 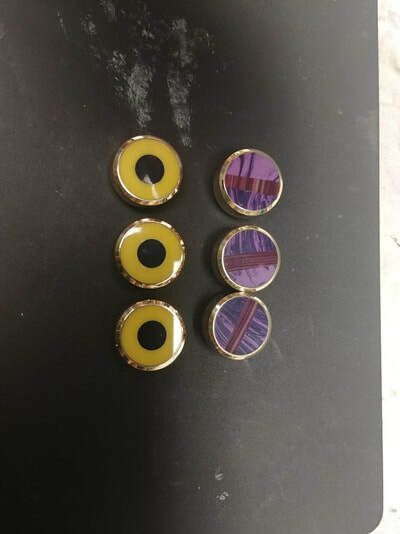 $75+button cost - We provide a set of buttons from your manufacturer and install inlays in that set, so you don't have to go without buttons while we do the work. 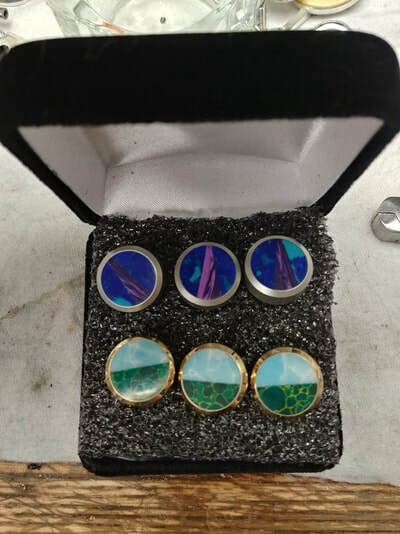 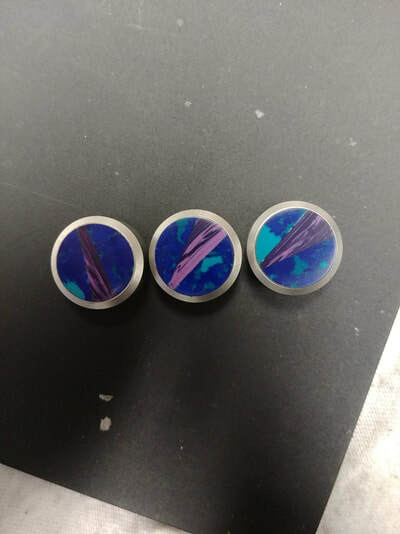 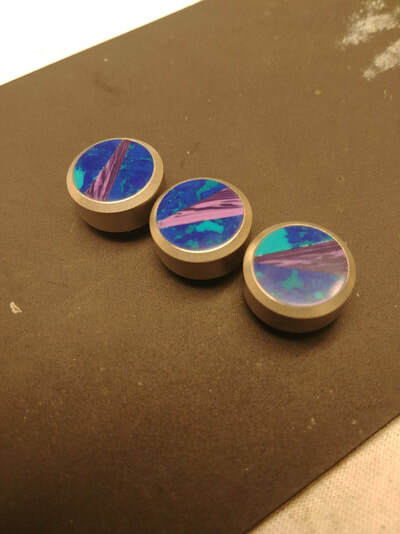 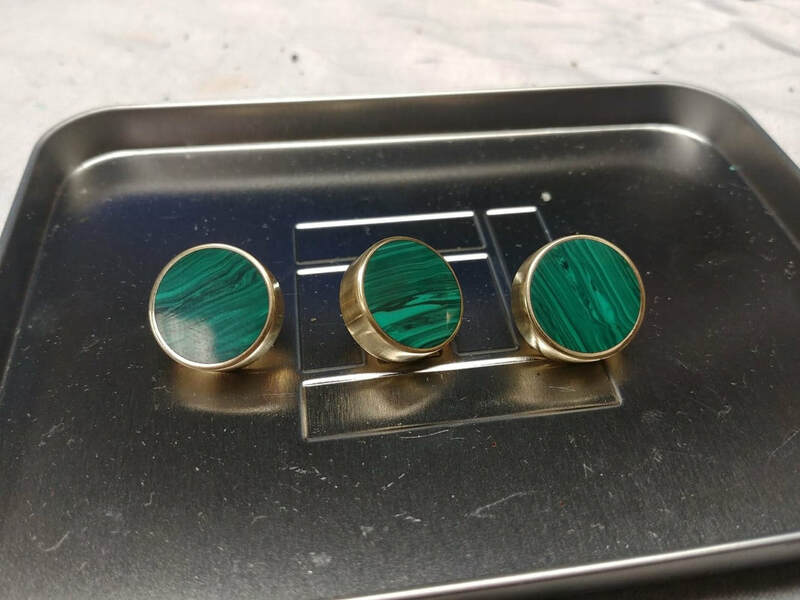 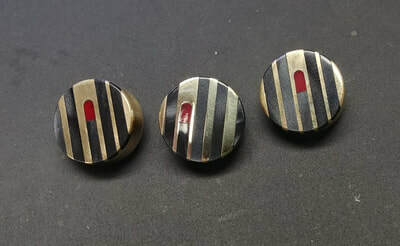 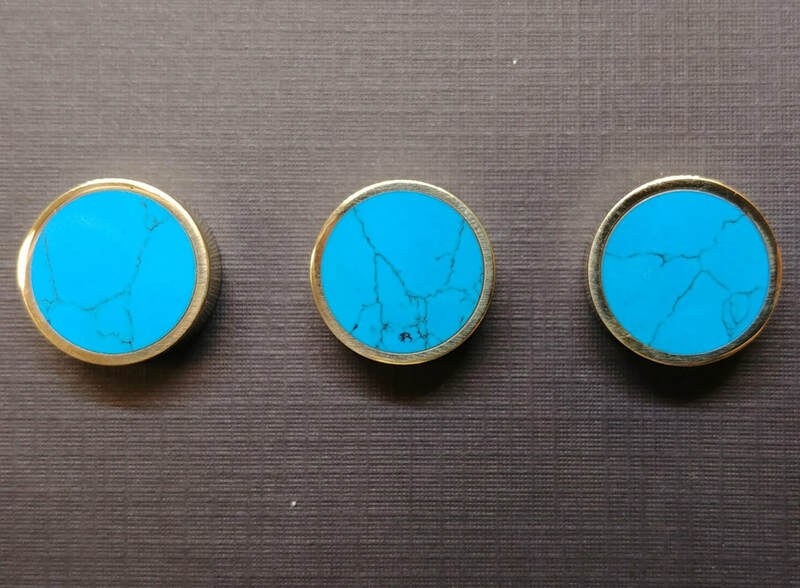 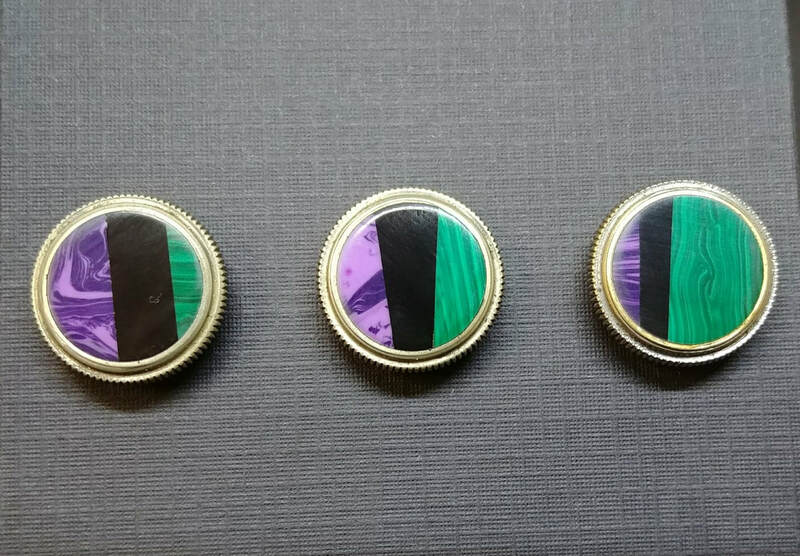 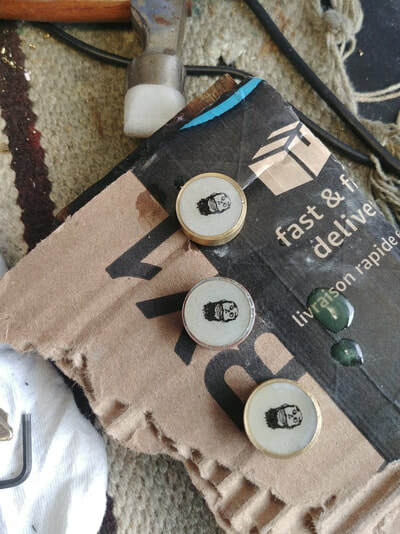 $175 - We make a set of buttons from scratch and install inlays in them. $225 if you want buttons made of nickel silver instead of brass.